This beautiful contemporary set will bring delightful style into your dining room. 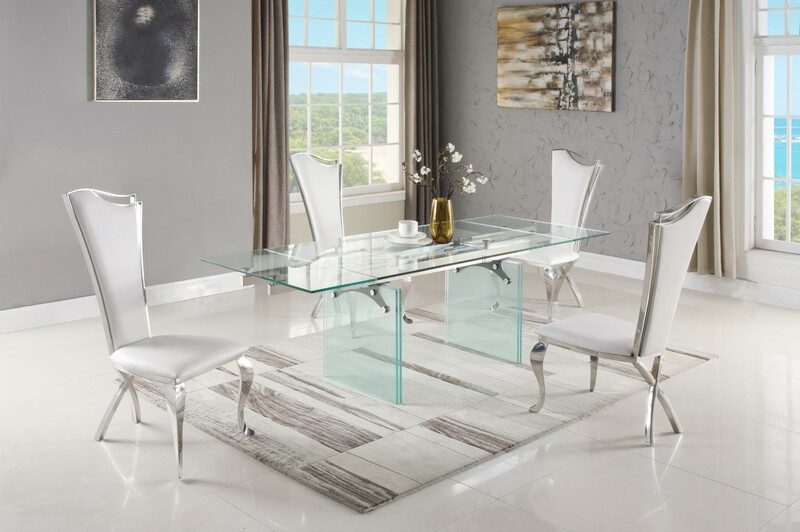 The dining table has a stylish look with both top and base being clear glass. 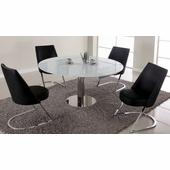 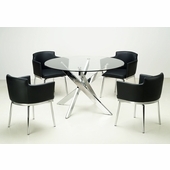 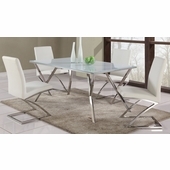 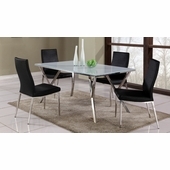 Both table and chair have polished stainless steel frame for added flare.